You can customize your permalink settings to help improve your SEO. 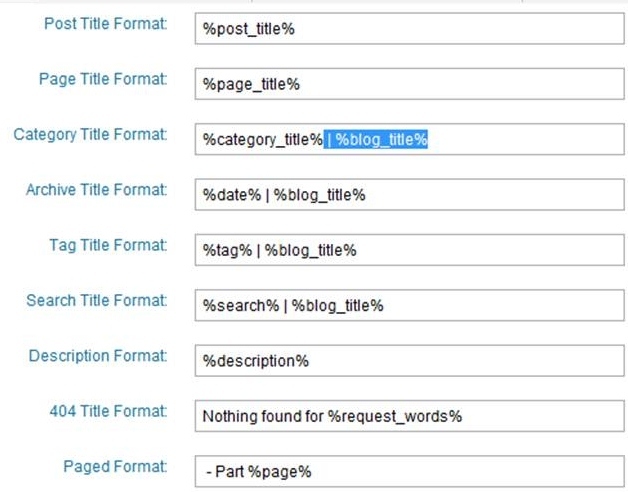 You can also use a plugin to change your title formats, so that your blog name doesn’t show up with every post title. I have already discussed how you can customize the permalink for a particular post. These tips that I am sharing today address how to change the appearance of your post titles and will apply to all of your post titles. 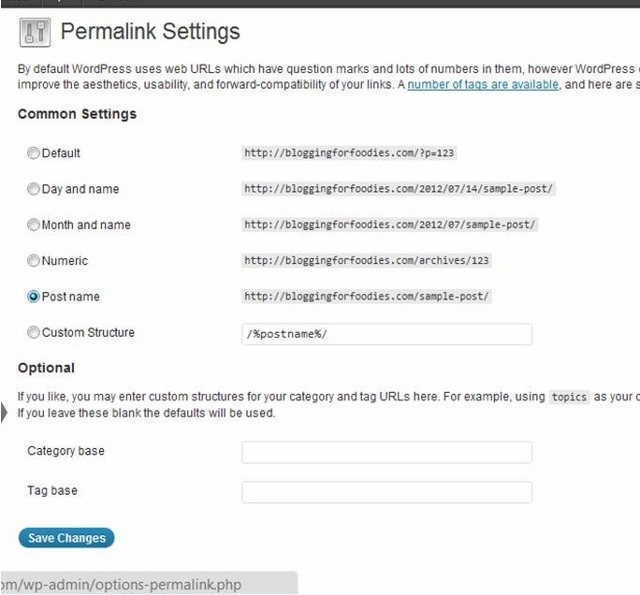 The default permalink setting in WordPress is http://bloggingforfoodies.com/?p=123. I don’t know why, but I do know that ?p=123 does not convey any information about your post. Instead of using the default, click on the post name option to create custom permalinks. 2. Scroll down to Permalinks and click on it. If you are afraid that by making this change, you will have problems with old links install the Permalink Finder plugin. This is a great tool that redirects old URLs to new URLs and then notifies the search engines of the changes. This presents cleaner results in search engines and leaves room in tweets for people to leave a comment about your post. 2. Scroll down to All in One SEO and click on it. 4. Highlight | %blog_title% and then click delete. I remove | %blog_title% from each Title Format. I feel it is redundant and can be distracting in SERP (Search Engine Results Page) and on social media. If you are new to WordPress, this video will help you learn how to implement the All in One SEO Pack Plugin. Thank you so much for this fantastic information. I already changed it and it’s working. You are the bomb!